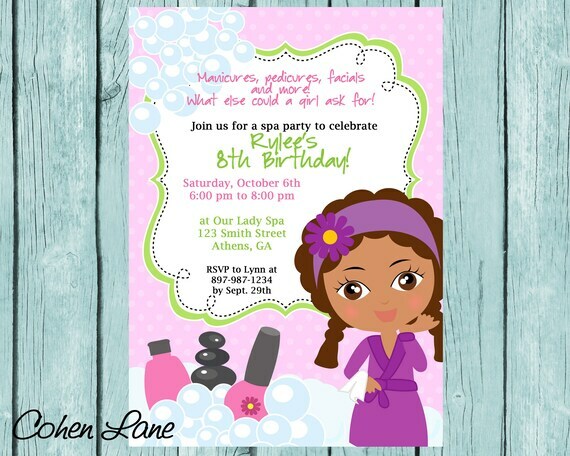 Quick and easy Spa Birthday party Invitation. Perfect for just a spa party or a sleepover. Graphics used in this design are from babystardesigns.